Hollis Johnson/Business InsiderState Senate candidate Jessica Ramos in Corona, Queens. Five of these challengers are women – and if their grassroots campaigns and left-wing policy platforms succeed in primaries next month, they could remake politics in New York. The movement to expel establishment Democrats isn’t new, but it seems to be finding stronger footing than ever before. 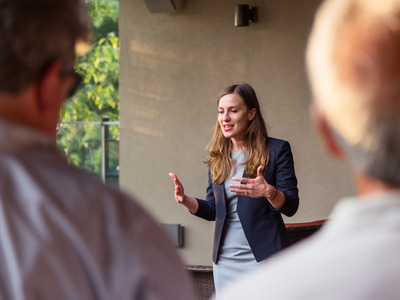 Priya Varanasi met New York state Senate candidate Alessandra Biaggi when the 32-year-old, first-time candidate came to speak to Varanasi’s high school women’s empowerment club in late May. Varanasi, a college-bound 18-year-old, and a group of her friends are now leading Biaggi’s effort to register Bronx and Westchester County youth to vote. The job involves explaining why a former Hillary Clinton campaign aide is challenging a fellow Democrat, 14-year incumbent Sen. Jeff Klein, in the September primary. But for them, Klein’s record in Albany, where he led a group of renegade Democrats who voted with Senate Republicans for seven years, largely speaks for itself. Varanasi says that after describing how Klein’s Independent Democratic Caucus stymied progressive legislative efforts in the deep-blue state, she has little trouble convincing young people to support his insurgent challenger. 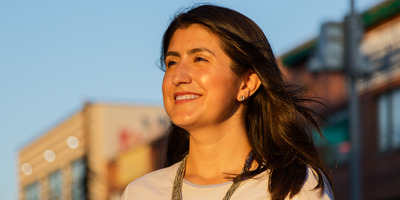 Biaggi is one of a diverse slate of eight progressive challengers – five of them women – who are running against the former IDC members in the state Senate. Their grassroots campaigns are reflective of a growing movement challenging centrism and party leadership, galvanised both by a backlash to President Donald Trump and the success of rising stars like Democratic socialist Alexandria Ocasio-Cortez. Following Trump’s 2016 victory, many New Yorkers were made newly aware of a surprisingly bleak political reality in their own backyard. In a state celebrated as a powerful liberal bulwark against the new administration, Republicans have maintained control of half of the state legislature. For the last seven years, the IDC, which gained three members in late 2016 and early 2017, was key to the GOP’s power. And even after the April dissolution of the group, Republicans maintain control over a majority – 32 votes to the Democrats’ 31 – because of one Brooklyn Democrat, Simcha Felder, who joined Republicans shortly after being elected. Much evidence points to Gov. Andrew Cuomo’s key role in creating and protecting the swing group, which has boosted his bipartisan credentials, and, critics say, helped him cultivate lucrative relationships with Wall Street and real estate donors. Cuomo’s primary challenger, activist and former actress Cynthia Nixon, has hammered him on the issue. Hollis Johnson/Business InsiderSupporters of state Senate candidate Alessandra Biaggi at a campaign event in Mt. Vernon, NY in July. Progressive activists say Democratic defections have prevented more than two-dozen pieces of progressive legislation – on key priorities including voting rights and abortion access – from becoming law. During President Barack Obama’s administration, Democrats lost about 1,000 seats in Congress and state legislatures. Ocasio-Cortez recently blamed Democratic leadership for failing to invest in younger and first-time candidates. “State parties aren’t working on aggressively investing in young people running in state assembly seats, statehouse seats, so they can later go on to Congress,” she told the progressive political podcast Pod Save America. Democratic activists and party leaders now want to take a page out of the GOP playbook to begin building the party’s long-term power. “If we don’t win back state legislatures in 2018 and in 2020, then winning the House is a temporary fix to what will become another permanent structural problem,” said Amanda Litman, the cofounder of Run For Something, a group working to elect young Democrats to state and local office. 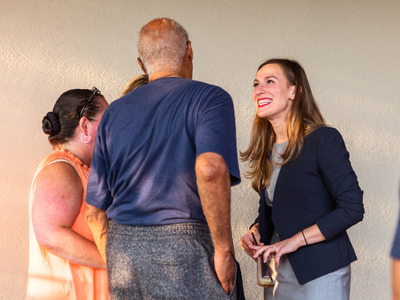 Hollis Johnson/Business InsiderState Senate candidate Alessandra Biaggi talks with supporters at a campaign event in Mt. Vernon, NY in July. Rachel May, a Syracuse University administrator running in an upstate district, learned about the New York Health Act – the single-payer bill senate Republicans have repeatedly rejected – at a rally last year. “When Republicans started talking about bringing back lifetime caps on health insurance, that was like a knife in my gut,” May says in the ad of the GOP’s Obamacare repeal effort. Ramos, then Mayor Bill de Blasio’s director of Latino media, was commuting to work on a Wednesday in July 2017 – stalled underground during a particularly miserable day on the New York City subway – when she decided she needed to take matters into her own hands. Hollis Johnson/Business InsiderState Senate candidate Jessica Ramos talks with residents in Corona, Queens during an evening of door-knocking in July. Jasmine Robinson, a 38-year-old legal secretary from Staten Island, was at a vigil last December for Erica Garner, the late daughter of Eric Garner, who became a national symbol of police misconduct when he was killed by an NYPD officer’s chokehold in July 2014, when she decided her district needed better representation. “We have nothing to lose, but all to gain,” Robinson said. “These challengers, instead of working for a united Democratic Senate, are having a public identity crisis and will only have themselves to blame in November when they still don’t have votes in the Senate to pass the progressive legislation they claim to care about,” the spokesperson said in a statement to Business Insider. Peralta insisted that Ramos “was nowhere to be found” when he was busy scoring legislative victories, like paid family leave, funding for immigrant legal defence, and a $US15 minimum wage. Julie Goldberg, a school librarian challenging former IDC member Sen. David Carlucci, said her opponent didn’t take her candidacy seriously, at least initially. “In the beginning he treated me in a very kind, friendly way, but almost like I was a Girl Scout doing this for my gold award project,” she said. 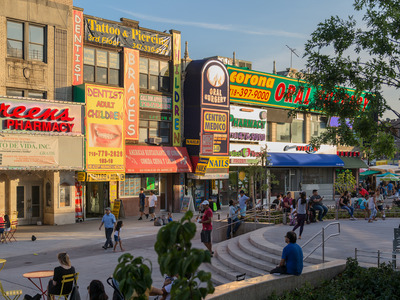 Hollis Johnson/Business InsiderA plaza near the 103rd Street 7 train stop in Corona Queens, a neighbourhood in Sen. Jose Peralta’s district. Her energy, which she’s spread around the country campaigning with progressive insurgents, is particularly present in her home state. The day after Ocasio-Cortez’s June 26 win, the IDC challengers raised a combined $US17,000, Politico reported. And the candidates beat that record every day for the remaining 15 days in that filing period. Shortly after Crowley’s defeat, John Liu, the city’s former comptroller, announced his campaign against the last remaining former IDC member without a challenger, Sen. Tony Avella of Queens. Zellnor Myrie, a 31-year-old lawyer, and former city councilman Robert Jackson are challenging the other two former IDC members. Ramos, Biaggi, and Liu are courting the same voters Ocasio-Cortez did – Ramos’s district sits entirely within Crowley’s congressional district. Biaggi, who recently hired two of Ocasio-Cortez’s organisers, said some of the voters she’s talked to have even mistaken her for Ocasio-Cortez and insisted they have already voted for her. Another young Latina Democratic socialist, 27-year-old community organiser Julia Salazar, is benefiting from a boost from Ocasio-Cortez in her race against another state Senate Democrat, who was never associated with the IDC. 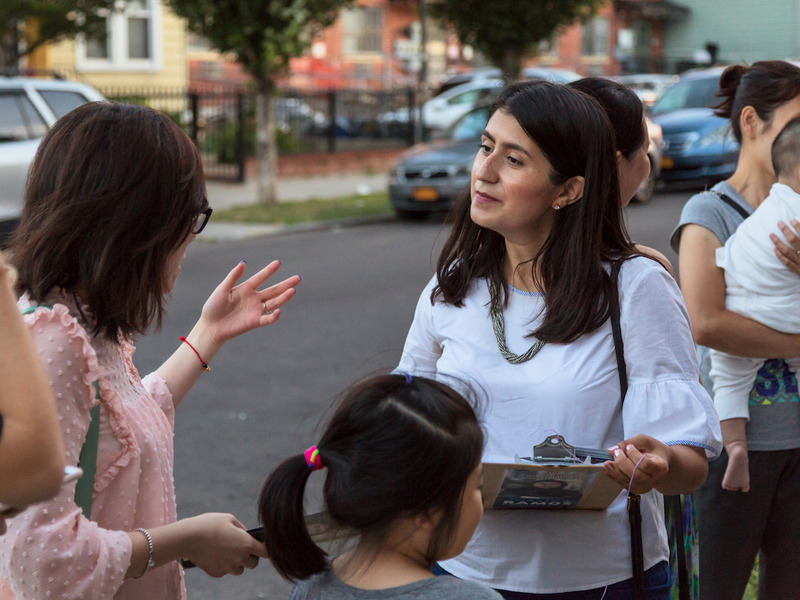 Salazar is running as a younger, more progressive alternative in her Brooklyn district and has seen a dramatic spike in donations and volunteers since late June. 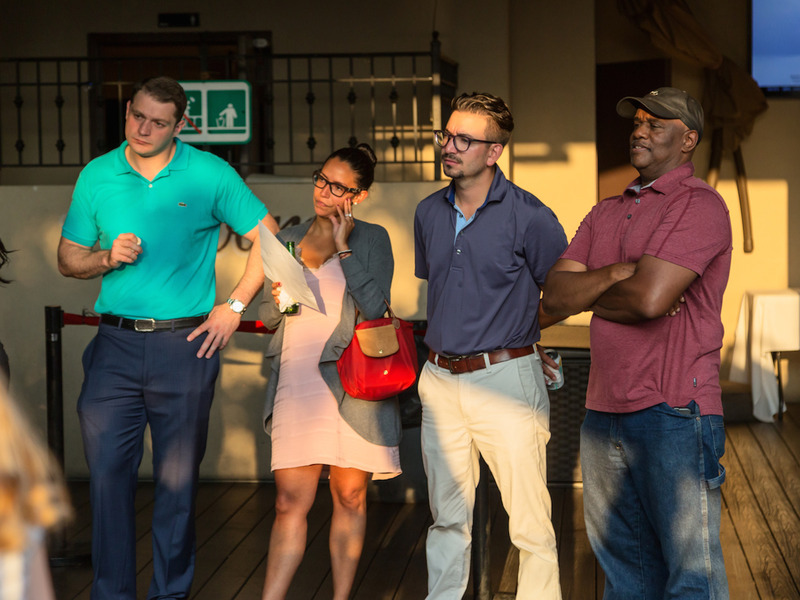 Hollis Johnson/Business InsiderState Senate candidate Alessandra Biaggi at a campaign event in July. But there are myriad factors that influence why a female candidate might be more attractive to voters than her male opponent. Kelly Dittmar, a scholar at the Center for American Women and Politics at Rutgers University, says the “gender bonus” stats drive her “a little crazy,” but she agrees that women likely have an advantage in Democratic primaries in the most progressive parts of the country. “I think we’re getting closer to a time when we can talk about gender and particularly the gender experience you have as a credential for office and not as a hurdle that you have to overcome or avoid,” she said. Some of the women running in New York say they have gotten a boost from supporters fed up with the vast underrepresentation of women in politics. Women make up just 28% of lawmakers in New York’s state legislature and 22% in the Senate. “I would go door to door and people would say, ‘Who are you running against?’ and I would say Dave, and they would say, ‘Oh say no more, we need more women,'” May said. 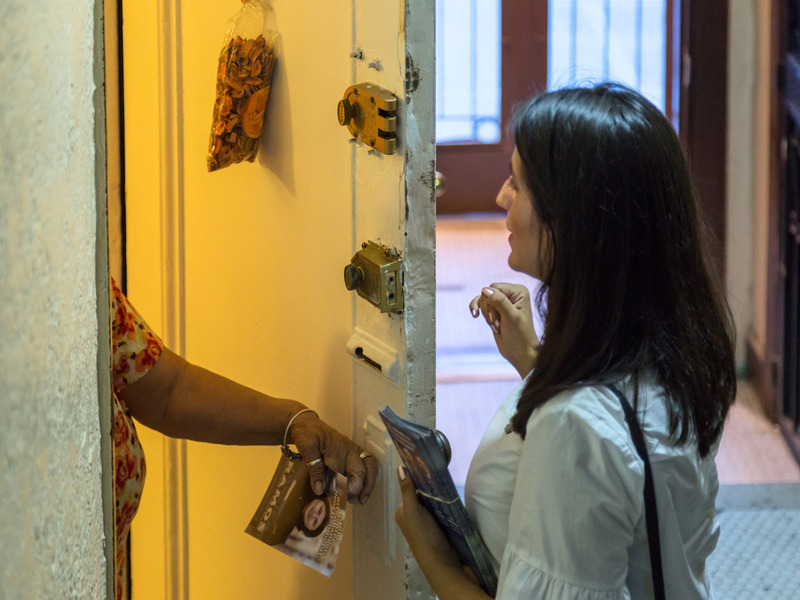 Hollis Johnson/Business InsiderState Senate candidate Jessica Ramos knocks on doors in Corona, Queens in July. “They have been told over and over again, ‘Don’t run, what are you doing? You can’t take on the incumbent, it’s not your turn, you can’t win so why even try.’ They have said, ‘f— that,'” said Litman, whose organisation has endorsed Ramos and Biaggi. The women say they have formed a bond a result. “The ladies and I, we call each other the Fab Five,” Robinson said.